The geothermal power industry uses reclosing pressure relief valves (PRV) for overpressure protection where operators are managing the brine/steam generation process. Plants use rupture discs to form a leak tight seal at the valve inlet to protect the SRV from the high risk of corrosion and related maintenance/repair costs. 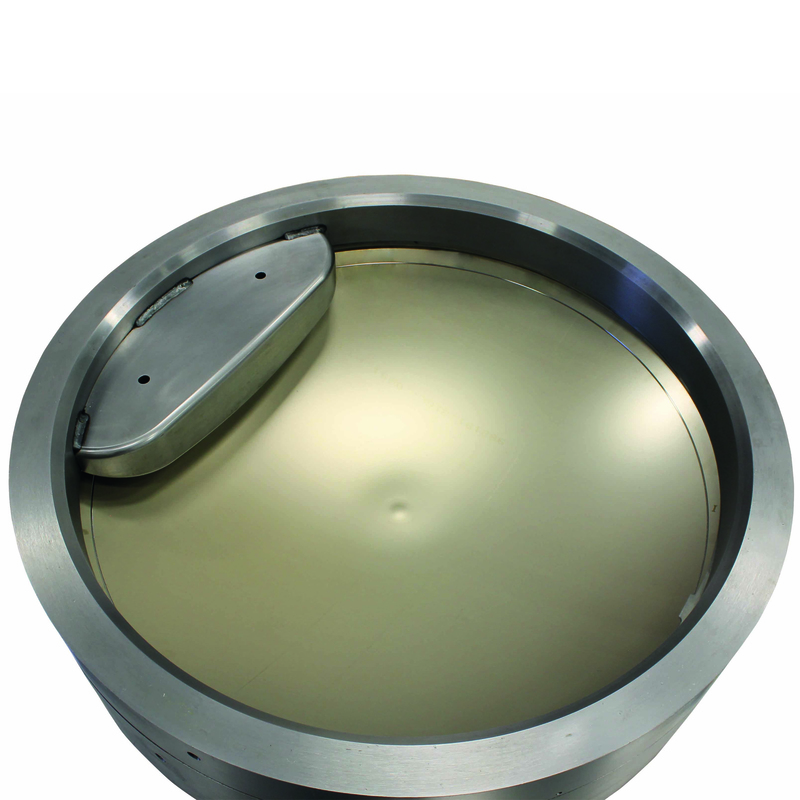 A rupture disc is a pressure relief device actuated when system pressure reaches the burst pressure of the disc. It is designed to provide a reliable leak tight seal on the pressurised equipment, and only open during abnormal overpressure conditions to relieve excess pressure from a pressurised system. Equipment that comes in contact with hydrogen sulphide (H2S) environments can be rated for sour service with adherence to NACE MR0175/ISO 15156 or NACE MR0103. These standards recommend the suitable materials, in sour gas and oil environments, to prevent sulphide stress cracking (SSC) failures where H²S is present. Such failures can pose risks to the health and safety of the public and personnel or to the equipment itself. SSC is the cracking of a metal under the combined action of tensile stress and corrosion in the presence of water and hydrogen sulfide. In the oil and gas and geothermal power industries, SSC has special importance, as the fluids being transported through the wellbore often contain considerable amounts H2S. Fike’s Atlas reverse acting rupture disc uses its proprietary G2 technology to provide valuable features for the geothermal industry. This includes extraction scoring on the disc that eliminates high stress concentrations common with conventional hard-scoring techniques. The resulting extended service life and highest allowable operating pressure provide excellent return on investment for the user. The Atlas rupture disc material selection now has been extended to include Inconel 625, a material widely used and accepted in high-temperature applications and severe corrosive environments where pitting and crevice corrosion are otherwise a problem. Fike’s Atlas rupture disc produced with Inconel 625 is compliant to both NACE MR0175 and MR0103 requirements, giving users increased confidence in managing leaks.